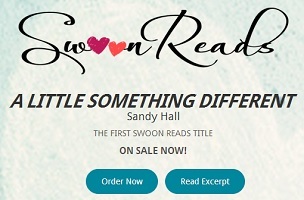 Thanks to a healthy amount of advance online sampling and a community rating of five hearts, A Little Something Different is out today as the first title for Macmillan Publishing’s new Young Adult imprint Swoon Reads. A first run of 100,000 copies of the book has been ordered for the U.S ., alongside simultaneous releases in the UK and Australia. By bringing a reality-television-style talent competition to its digital slush pile, the publisher is hoping to find potential best sellers that reflect not editors’ tastes but the collective wisdom and whims of the crowd. When Feiwel spoke to NYT reporter Alexandra Alter, she indicated that out of 237 manuscripts posted on the Swoon Reads website, the publisher had snapped up six. Tough odds, but not nearly as tough as odds for authors through most other channels. 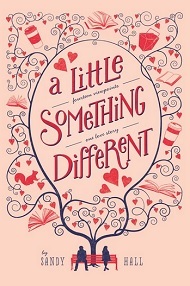 Something a Little Different tells the story of the romance between two creative writing college class students, from the point of view of more than a dozen different others. Everyone from their university professor to the local Starbucks Baristas. Read the rest of the NYT article here.